When I created Chaos Commandos, it was to help people that are a lot like me. People with insufficient closet space, overstuffed hardrives, and prolific children. People with hobbies, collections, and active minds. We're overwhelmed by clutter, paper, and information. Our plates are the largest they've ever been, and they're still full. When we go to work for you, it's with an understanding of where you're coming from, because we've been there ourselves. And through it all, we strive for a sense of peace and calm in our lives. There's enough chaos in the world. We can at least help create some serenity in yours. 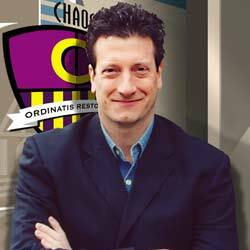 Chaos Commandos is an organization company that not only focuses on organizing the home, but also the office and life in general. It was designed for people with insufficient space in their closets, their bathrooms and their kitchens as well as children who have too many hobbies and too many toys. It is the ideal solution for those with active minds and overactive hard drives. The company was started by Robert Mizrahi, who, prior to starting Chaos Commandos, spent over 20 years in the world of advertising and graphic design. He held various high level creative positions, serving such companies as Nokia, Dannon and AT&T, where he created the ad campaign for the Live Aid concert for hunger relief in Ethiopia. 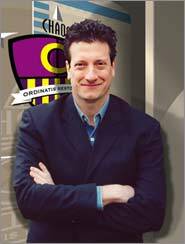 Robert is a professional organizer and speaker for a number of Fortune 500 companies including Apple, IBM and Pfizer. He specializes in helping individuals and businesses alike take control of their lives and their surroundings. Robert practices the art of “letting it go” and speaks to others using his own experience in life, discussing for example, how both the left and right brain are used when organizing. With his ability to breakdown information and his fascination of how the human mind ticks, he takes a direct approach to leave clients feeling not only motivated but inspired and with a renewed sense of purpose. By doing this, clients are more open to the ideas that we provide them for organization and are more likely to follow the advice in the long-term. Without the inspiration, people would take what we give them and would slowly shift towards their old habits. We don’t want to see this, which is why we take a unique approach to our organizational methods. Under the vision and guidance of Robert Mizrahi, the company has been featured in a number of top publications including the Chicago Tribune and Woman’s Day. Articles that Robert have written have also appeared on many websites, which discuss all levels of organization – including data and physical objects. With our help, people will be able to have their space re-imagined to give all items a new home. This includes virtually everything in the house or office – electronics, papers, toys, musical instruments, art supplies, pantry items, wine and anything else that may currently be scattered about without an actual place. When items have a home, organization is much easier to control. 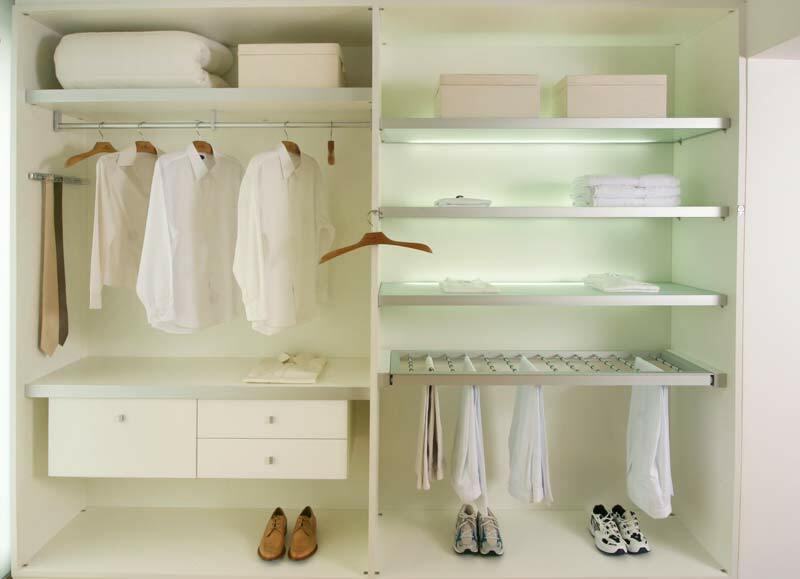 A Lighted Closet Reorganized with Shelving and Draws. Click to Enlarge. Everyone will be able to learn where everything is in their home, making it possible to find something within seconds. Orderly environments invite cooperation. Everyone will gain a respect for each other’s space as well as belongings. It helps to keep the peace. 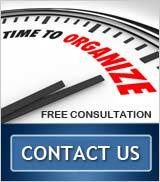 With over 12 years in the home organizing industry of New York City, we have seen and done everything. We have not only created efficient offices inside of kitchen nooks and designed functional workspaces for home-based businesses but we have also created fun playrooms and organized, creative libraries for book lovers. Information is everywhere and we as a society struggle to figure out where to put it and how to process it. 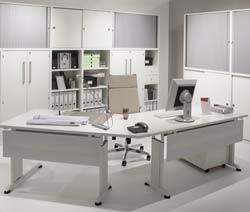 We have a keen ability to see organization in every room and situation, and the ability to bring it to life. We also take office organization to new heights. 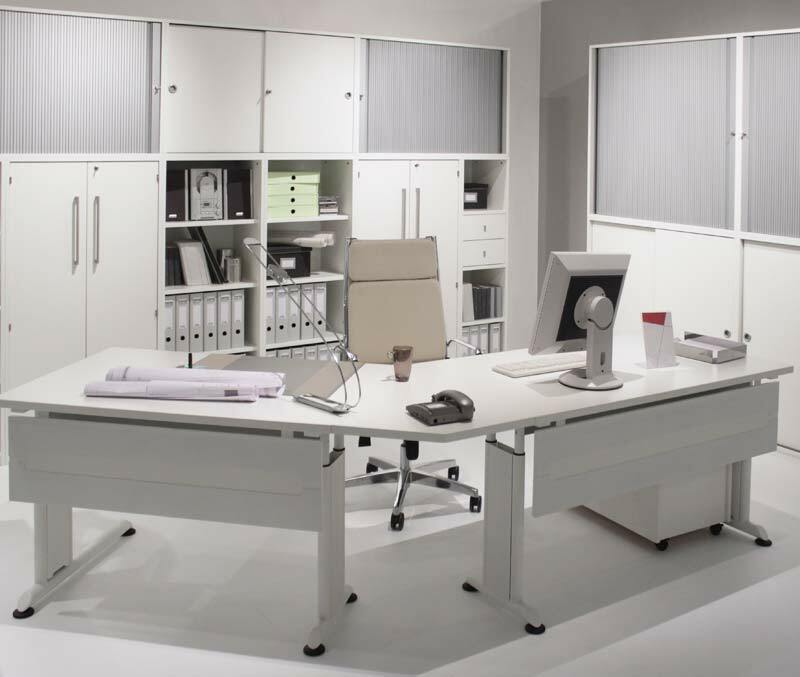 We can help create a home office, design an efficient workspace in even the smallest areas and even help manage the inventory of your business, which can save dramatic amounts of money. Chaos Commandos, doesn't stop with physical organization. We are also able to work with digital data. If it’s a clustered hard drive or the need to scan paper files into digital files, we are prepared to handle anything in the name of organization. We can even offer divorce mediation services by organizing the items in the home that are up for dispute. We have been able to work with a number of different budgets and a number of levels of chaos. There is no job too small or too large that we have been unable to take on. We are ready for a challenge and have not failed a mission yet. Our team of organizational experts is able to get very creative. We have helped to design shelving systems that can help people remove the clutter from their homes and repurpose spaces. We even offer moving services to help you get to your new residence or business in a professionally organized manner. We have a large file of testimonials from clients who are very pleased with what we have done for them. This is not something we have asked for – many of our clients have gone out of their way to thank us because of the way we have transformed their lives. Chaos is not something anyone should live with because it is disruptive. Through our efficient organization strategies, we have helped people make better use of small rooms, get rid of clutter on the floors of rooms and even save money within their businesses. We offer free consultations to individuals and businesses alike. Throughout the metropolitan area of NYC, and Westchester and Fairfield counties, we have seen various sizes of homes, apartments and office buildings. Due to the experience that we have in the industry, we are confident in our ability to take on any project and invite people to share their issues with us so that we can get them organized once and for all. There is such a thing as organized chaos, but often it doesn’t work. People are often shocked by what we can do for them based upon changing a few things or making use of what we call “dead space.” We see space in a different way, which ultimately makes us so good at what we do. 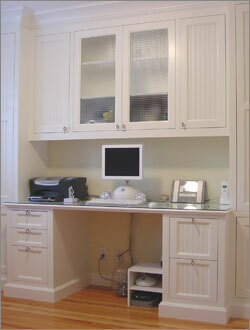 A Home Office Reorganized for Efficiency and Functionality. Click to Enlarge.